Milford Sound, New Zealand. April 2013. 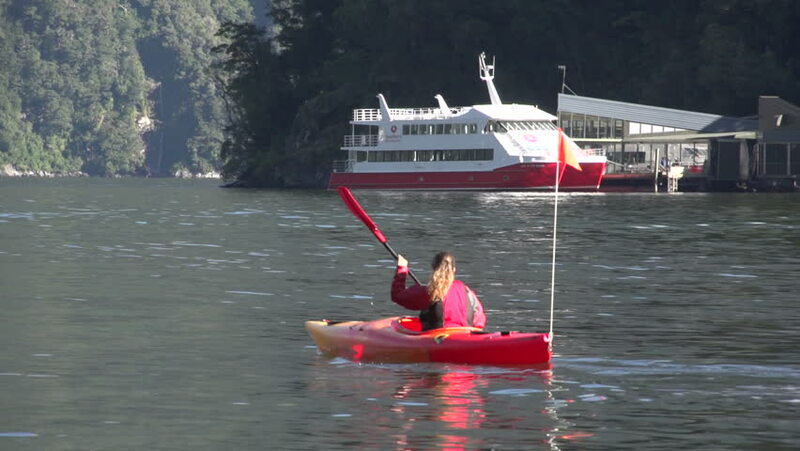 Unidentifed tourist kayaking on Milford Sound, tourist boat in background. hd00:19HONG KONG - JUNE 16: Dragon boat races in HongKong - Dragon boat races are traditionally held as part of the annual Duanwu Festival observance in China. shot on June 16, 2010 in Hong Kong, China. hd00:16TACOMA, WA, JUNE 11, 2018: Two boys in a kayak having fun as they paddle to the shore of Owen Beach, where they are eagerly greeted by family. hd00:22Wild swimmer struggling while training for triathlon in beautiful lake with safety boat in England.